Let’s Bake Mexican Apple Empanadas! Calling all foodies who love to bake and eat, sign up for Dorsett Putrajaya’s Baking Workshop with Chef de Cuisine, Chef Shahril Firdaus and enjoy a Tea Platter after the workshop. The exclusive baking or cooking workshop will be held on monthly basis, featuring different recipes by Chef Shahril. Priced at only RM30nett per person, the baking or cooking workshop is such a great deal as one also gets a door gift and a lovely platter of tea delights. 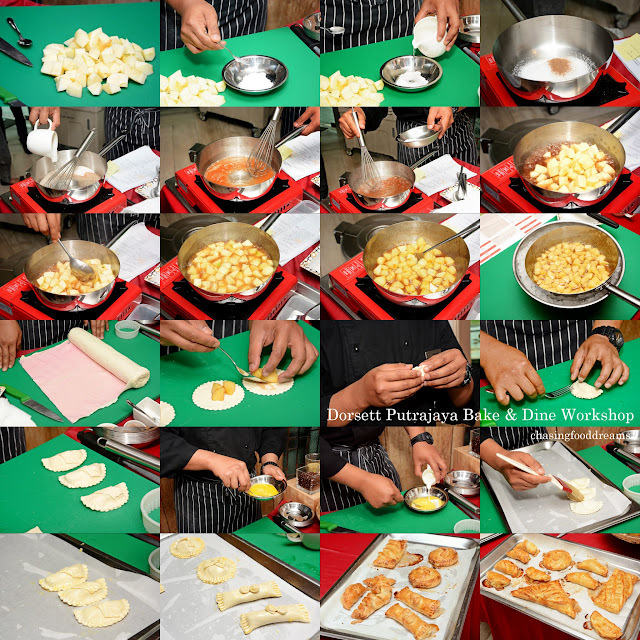 While at the hands-on workshop, one would also stand a chance to win a prize for the best dish. 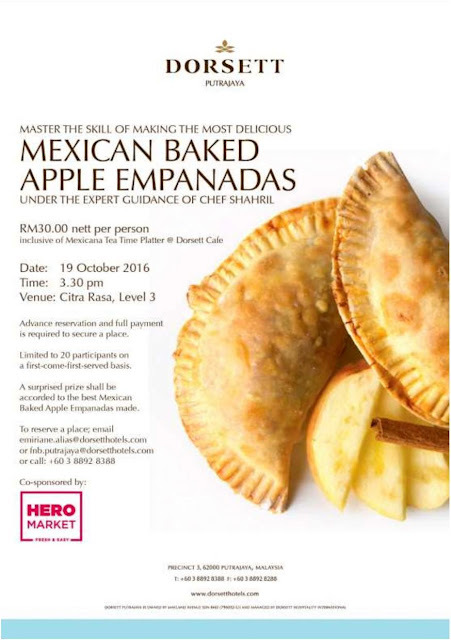 The first Baking Workshop featuring Mexican Baked Apple Empanadas will be held on this 19 October at 3.30pm at Citra Rasa, Dorsett Putrajaya. 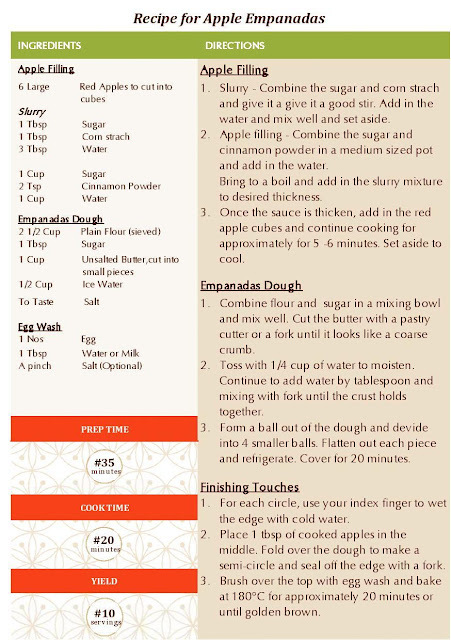 Chef Shahril revealed his secret recipe for the famous Mexican Baked Apple Empanadas that uses red apples courtesy from Hero Hypermarket during this preview. Together with my partner-in-crime, Choi Yen and I had such a lovely time at this baking workshop. We let our creative juices take a hand when it comes to shaping the empanadas and the presentation. Chef Shahril demonstrated his recipe to us first and then we got down to cooking ours. Here’s my empanadas, which I shaped into round disc and long puffy ones. These are all the other participants’ creations where some got really creative! After our baking workshop, we sat down to a lovely treat of Mexican Tea Time Platter. Featuring savory and sweet treats, I enjoyed the Nacho chips with all the pico de gallo salsa, sour cream and guacamole and Churros with chocolate the most. Priced at RM30nett per person, this exclusive offer is available only for the first 20 persons to reserve for the workshop. Citra Rasa Restaurant on Level 3 is Dorsett Putrajaya’s main restaurant that has a beautiful view of Putrajaya Lake. Whether you’re dining breakfast, lunch or dinner, Citra Rasa offers buffets and ala carte dishes by Chef Shahril and the culinary team. The quality of the cuisine at Citra Rasa is schooled by the chefs’ moto “the perfect dish can only be achieved with the assistance of a cheerful disposition, respect for each ingredient worked with and love in one’s heart”. The interior of the restaurant is elegant and modern, featuring gorgeous contemporary chandeliers glittering throughout the day. 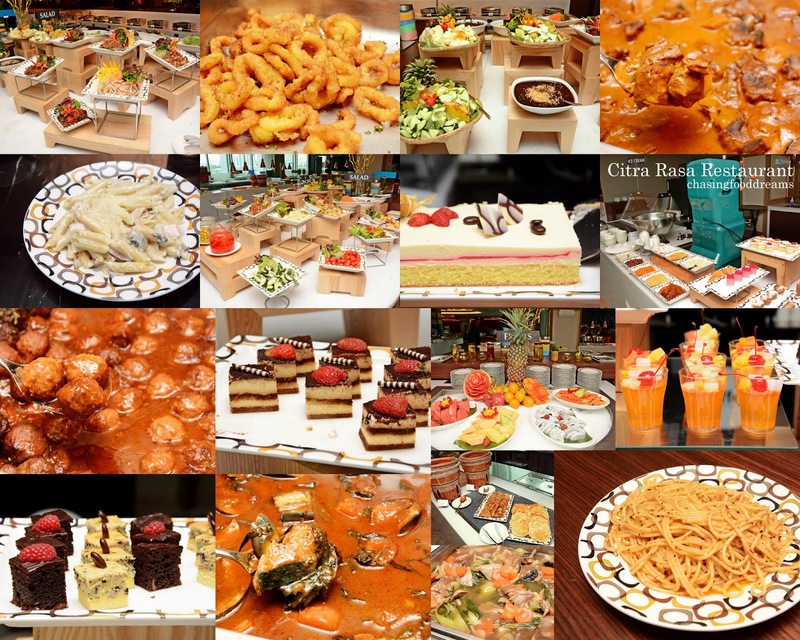 Currently Citra Rasa offers weekend buffets as well as dinner. To book your space or for more information, please contact emiriane.alias@dorsetthotels.com or fnb.putrajaya@dorsetthotels.com or call +603 8892 8388.